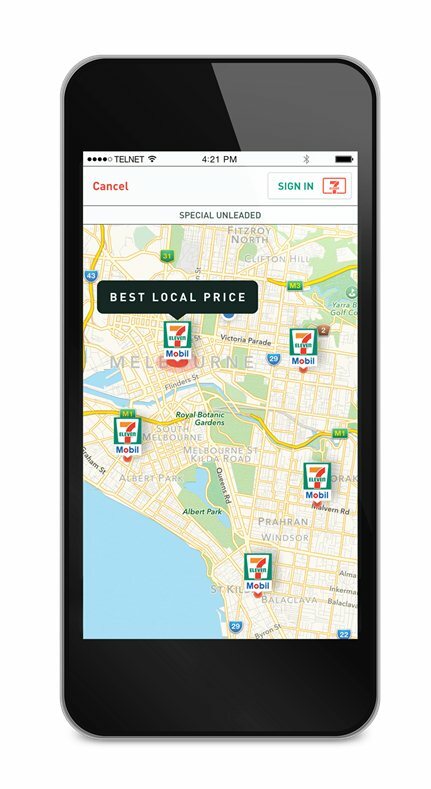 On 3rd March, 7-Eleven Australia launched a world first app that allows drivers to lock in the cheapest fuel prices. The app is available for Android and iOS devices and can be downloaded in the App Store and Google Play. The Fuel App allows users to search the five nearest 7-Eleven service stations based on their current physical location. Using the device’s location services and a unique algorithm, the app provides users with the lowest local fuel prices. Once a driver decides on a fuel price, they have 15 minutes to lock in the price, or else prices are liable to change. To lock in a price, the app opens its digital wallet which prompts users to select a fuel type and amount of fuel they’d like to lock in ranging from 10 litres to 150 litres. A voucher is provided to the app user, and they have up to seven days to redeem the fuel price at any of 7-Eleven’s 434 fuel stores. Motorists can lock in up to two fuel prices in 24 hours, and can check fuel prices 100 times per week. Motorists can redeem the voucher by scanning the barcode provided on the app, but users are not obligated to redeem a voucher unless they want to. There is no penalty for no voucher redemption because users are not charged until they are fueling up. The app was designed to compete with 7-Eleven’s current fuel competitors Woolworths and Coles, which also offer fuel discount programs. However, instead of a traditional fuel discount savings program that mandates drivers to make purchases to redeem fuel discounts, the app doesn’t require any in-app purchases. It isn’t a coincidence the app was released just in a week after NSW Innovation Minister, Victor Dominello stated he would be introducing legislation that would require service stations to provide real-time fuel price data via a price map app. Download The App Today and Start Saving Money On Fuel Expenses in Australia.